Smokin’ Joe Kubek Smokin’ Blues Guitar. 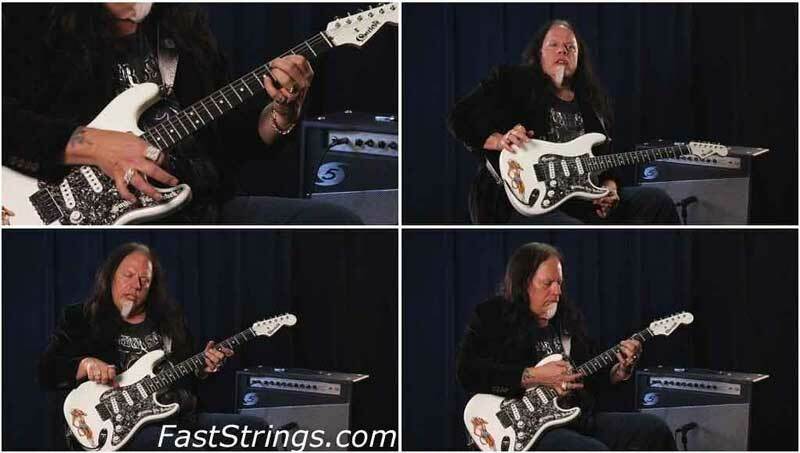 Texas blues guitar legend Smokin’ Joe Kubek and acclaimed author and music historian Dave Rubin have teamed up to create this one-of-a-kind DVD/book bundle, featuring a high-definition DVD with Smokin’ Joe himself demonstrating loads of electric blues licks, riffs, concepts, and techniques straight from his extensive arsenal. The companion book, co-written with Dave Rubin, provides standard notation and tablature for every smokin’ example on the DVD, as well as bonus instructional material, and much more! If you’re a fan of Smokin’ Joe and want some background on his playing style, look no further than this Book/DVD. He covers his influences, history, and plenty of great licks. Joe has a quiet but extremely effective way of teaching intense material. Pick it up and learn something very cool. A lot of these licks are very hip and the way Joe and Dave present them make them easy to transfer them to real time playing.